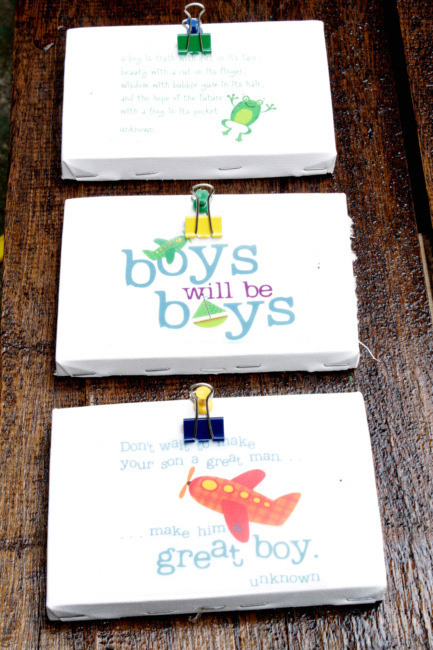 I have been talking about our recycled crib projects for a while now but I haven’t been able to post our pictures yet. We made two projects from our crib both are no nail projects so you can easily put it back together to use again or to sell when you’re done with it. Our first project, Wall Photo Gallery, it was done in less than 10 minutes. I just slid the pictures in so no need for nails. 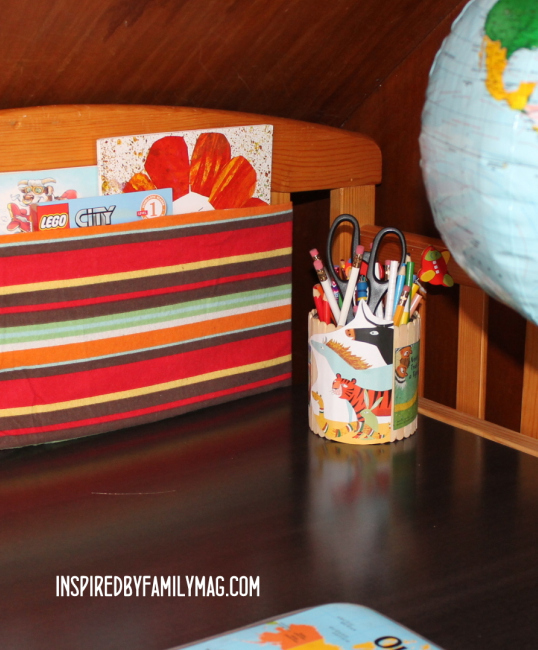 My awesome husband was the creator of the second project: Kids Work Station. I love, love, love how it turned out. It’s one of those under the stairs “offices” for our kids to use. 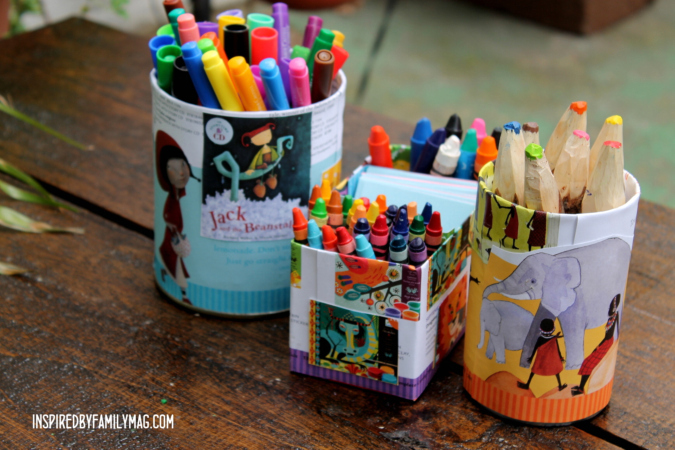 I will share with you how to make these lovely desk organizers in another post but I had to show you a close-up picture now because they are so lovely. Here’s another close-up. I made this awesome NO-SEW Fabric Sling bookshelf. Yup, you read it correctly it’s no-sew and I love how easy it was to make. You can see the whole thing in the picture above with the desk. I will also have a post in the near future showing you how to make one for yourself. And finally, I needed something small for the wall space above their desk. I made these simple canvas interchangeable wall art. 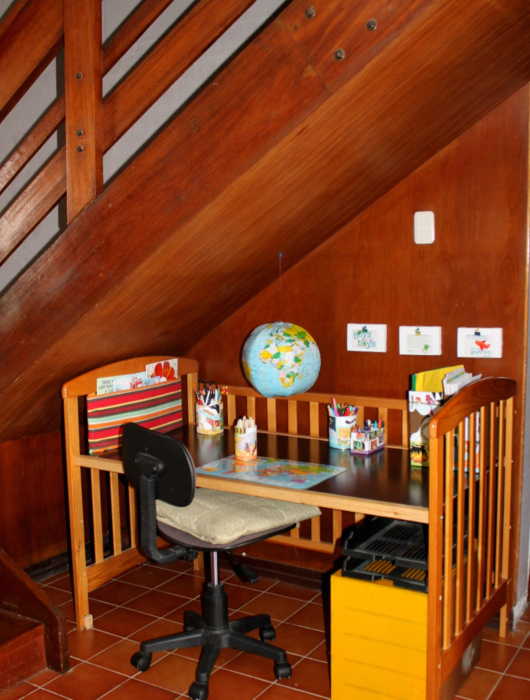 And here’s our under the staircase Kids Workstation for our boys! I love how it all turned out and how everything was recycled for this space. Tada! 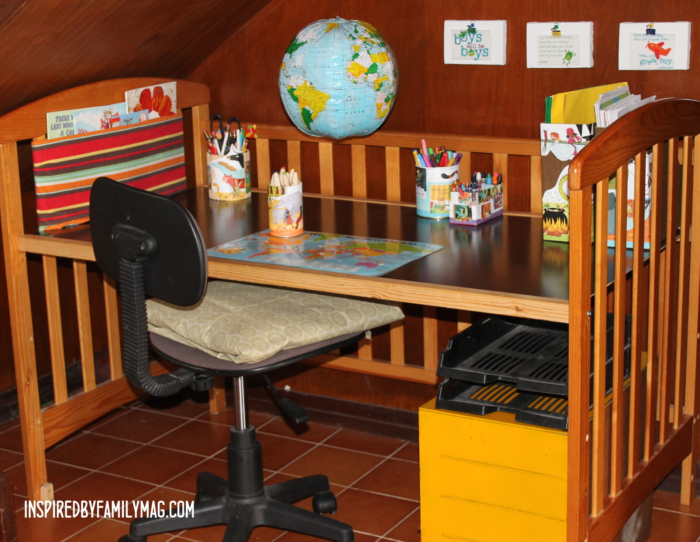 I love the crib desk! What a wonderful placed to work. What a great way to extend the life of the old crib! This turned out so beautifully! 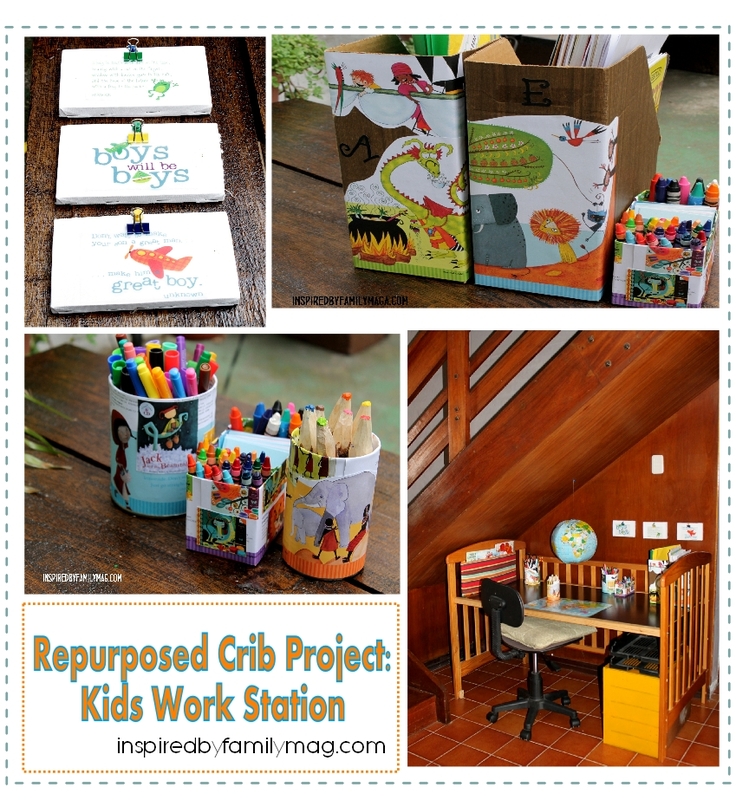 I love how you’ve recycled the crib and the barefoot books catalog. Wow! What an awesome space! Well done, Mari! information I acquired from your web-site.